I might have to plant these in close proximity to each other. Here are my favourite foliage plants and foliage combinations this month. I’m finding Summer to be the most challenging in the garden so far. There is so much that needs taking care of and the heat doesn’t inspire me to get things done. Dare I say this? I’m looking forward to Autumn! Great combinations! The first two are simply striking together! Thanks for the eye candy! I don’t know why it’s never occurred to me before but seeing you put photos of plants side by side really is an eye opener (that purple plant with the hydrangea is amazing) how they compliment each other. I need to take some photos of plants this year and compare them on the computer. It might help give me some perspective on which plants would look good together. 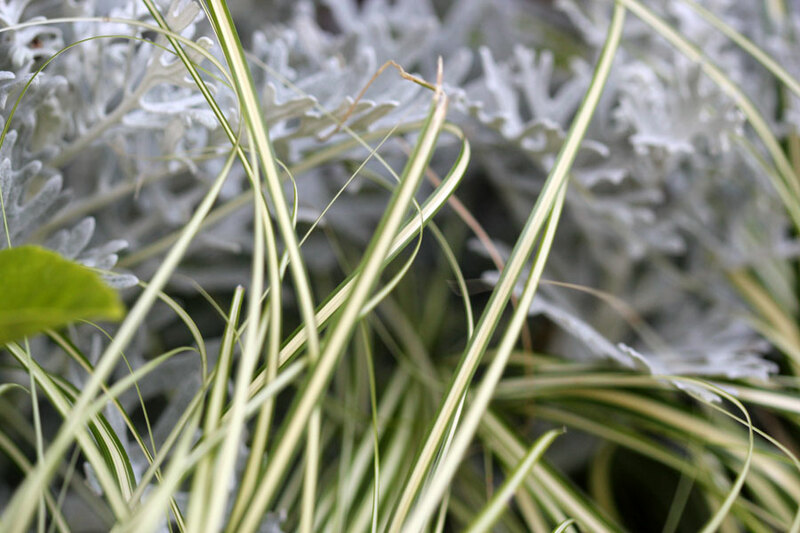 Planting for foliage is such a smart idea. 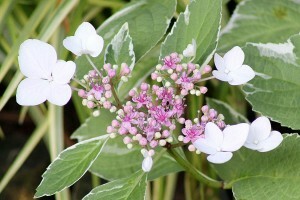 We are pretty much guaranteed something interesting to look at in the garden for 3 seasons, in my zone 5 garden anyway. 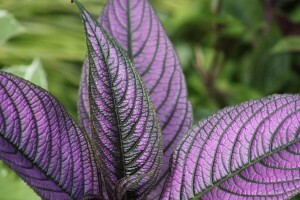 The Persian Shield is gorgeous and would stand out in a shade garden. Wow, that persian shield is soo pretty! I love it! 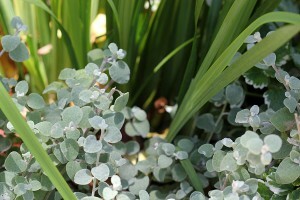 Dusty miller is also a fave of mine as well. 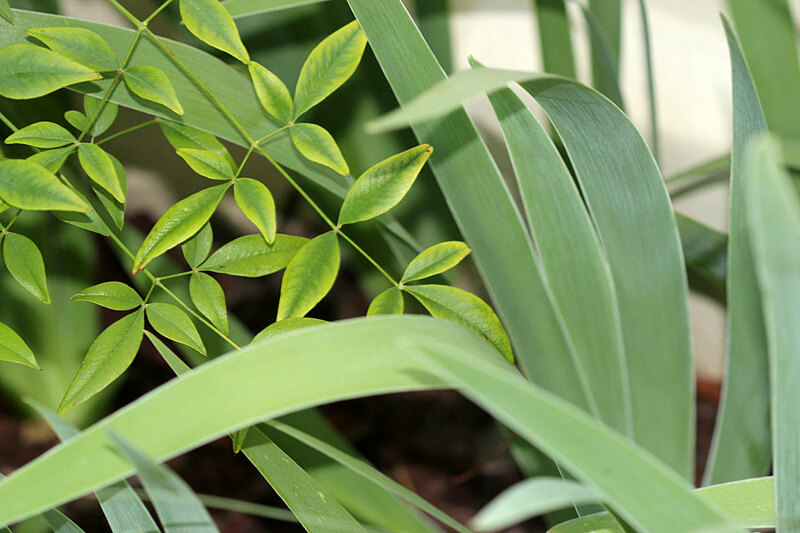 I have some nandina, and I love its foliage – it turns such a pretty red in fall and winter. Persian Shield always manages to steal the show, doesn’t it? It is lovely though. 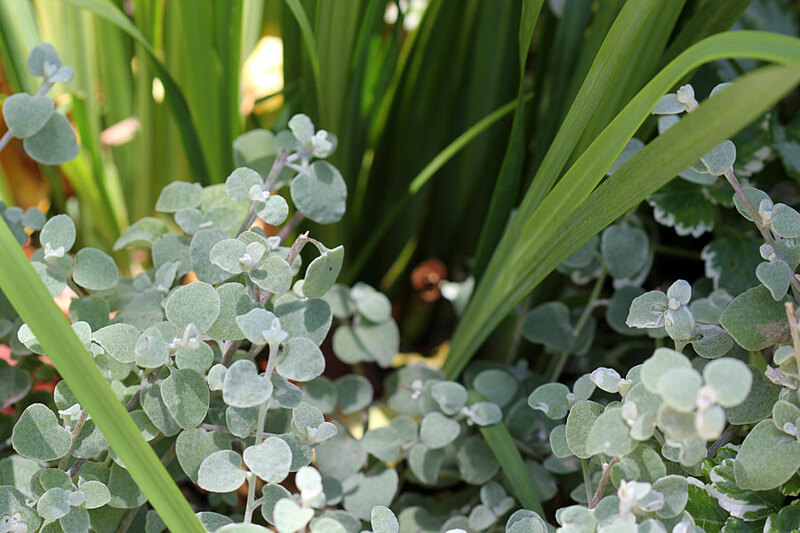 I think it’s one of the greatest challenges in a garden, bringing in a diversity of color and texture with foliage, so the garden holds interest throughout the year, long after the flowers are gone. 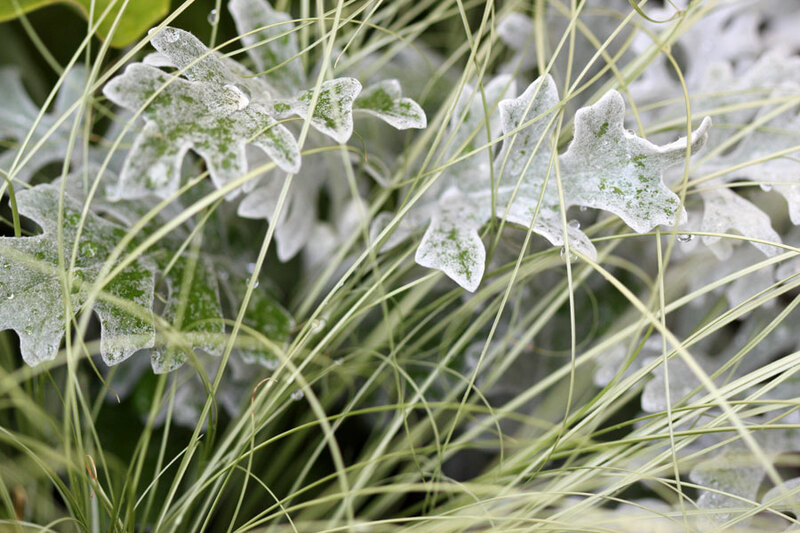 You have some lovely contrasts here, like the Dusty Miller with the carex, and I love the chartreuse of the Ipomoea against the darker green too! I think your Mexican feather grass will be fine in full sun, once it is established. This heat is so vicious, we hit 40C yesterday. Just let us last till March … Hope to see lots more of your purple leaves, won’t survive here! That first pair is a covetable winner. Love that foliage combination! The purple really compliments each other. I don’t like working in the high heat of summer, either. I usually take a month or so off of regular gardening chores, and unfortunately, my garden usually shows it! But, all is forgiven once cooler weather hits. Your autumn means spring here, so I’m looking forward to it, too! 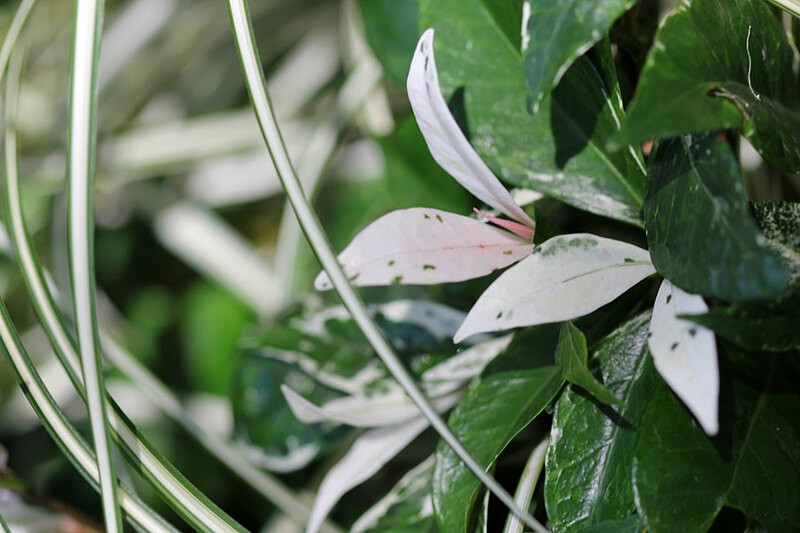 Lovely plant combinations you have. I used to have Persian Shield but sadly it didn’t last long. Looking at your gorgeous photos, I’m tempted to acquire one again. 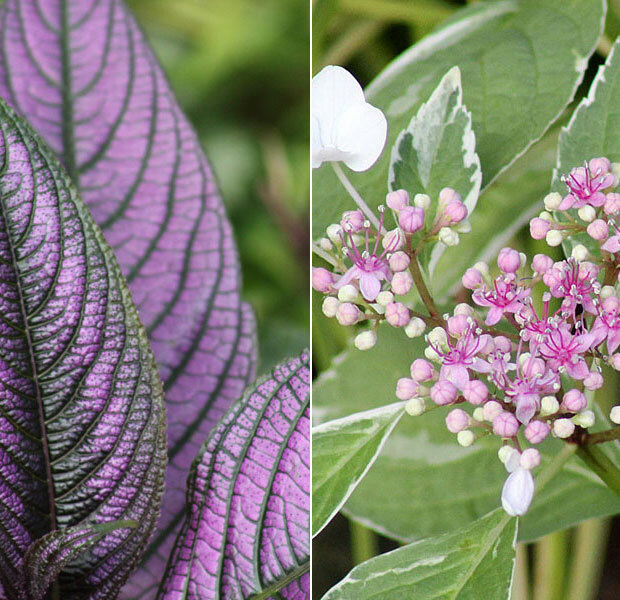 Persian shield has a truly stunning leaf, and that combo with the variegated Hydrangea is a winner. I hope you get some relief from the heat soon. Austin, Texas gardeners can relate! I always look forward to autumn’s cooler temperatures. Persian Shield is such a gorgeous plant. Nice combo with the hydrangea too. Oh! I loved that purple leaf. Also, you pro-gardeners have fascinating meme ideas and all are great photographers . Need to learn from you pros. Nan Ondra helped me start my blog and is a wonderful writer so I am glad you have her book. Kind of funny though with you in SA and her in PA with me. All your foliage is lovely and it’s amazing how we can grow the same plants. I forget where you are. You have some beautiful plants to share. I’ll look forward to Spring, here… but not until it’s SUPPOSED to be here!! Confusing weather these days. watch out for the worm causing damage to your Aggies, it lives down in the tuber and can decimate a whole bed of them. 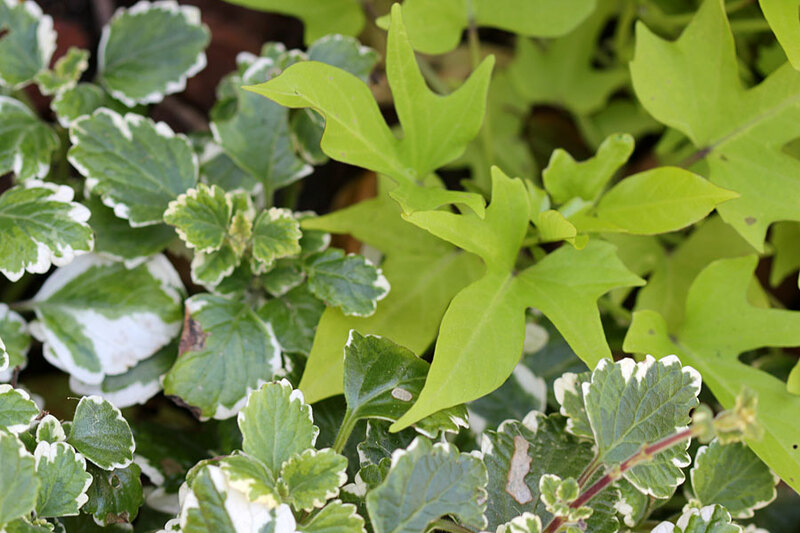 Some nurseries are prescribing very serious systemic sprays to sort it out, but we have had good results with the Margaret Roberts organic caterpillar spray, although repeat application is vital. What great advice – thanks! Lovely combinations for Foliage day. 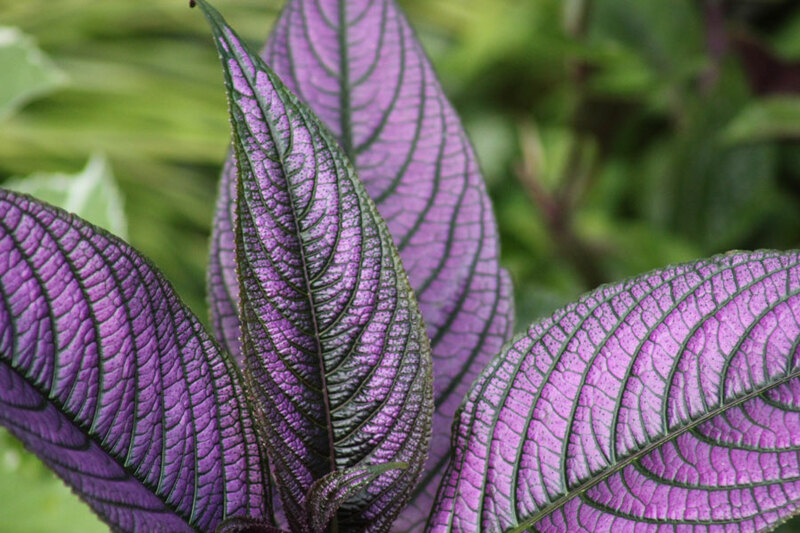 The Persian Shield is a gorgeous color and the combination you have is beautiful. 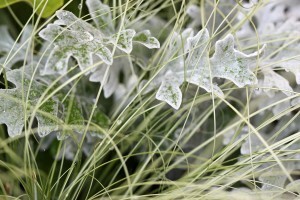 I’m surprised about the Mexican Feather Grass since we use it in full sun here. 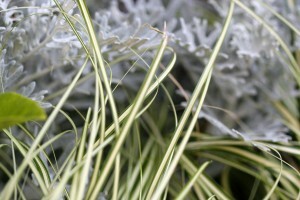 I lost so many Carex last summer in our heat, I don’t know if I will plant them again. I also notice that you grow some of the plants that we can grow as well. I love the Persian Shield. I’ve never grown it, although it’s planted at Zilker Botanical Gardens here in Austin. It’s a showstopper in a shady garden.